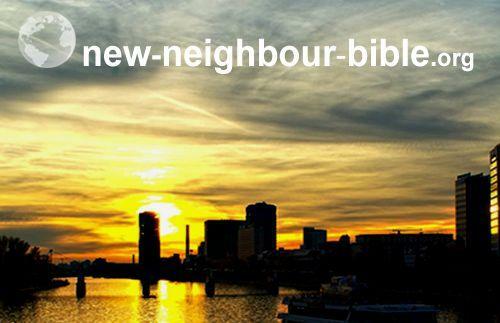 Welcome to the New Neighbour Bible website. The purpose of this website is to provide information for Christians living in Europe about the languages spoken by the people we see arriving in our countries from other nations, and to give links to any Bibles or Bible stories that are available in those languages. These include videos and audio recordings, as well as text resources. Almost everything is available online and free of charge. We started with information on people and languages from Syria, Iraq, and Lebanon, have now added information on North Africa and Afghanistan, and will add information on resources for new neighbours from other countries in the coming months. 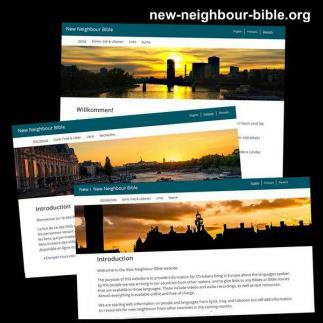 These images can be used to tell people about the site on social media or in church bulletins.